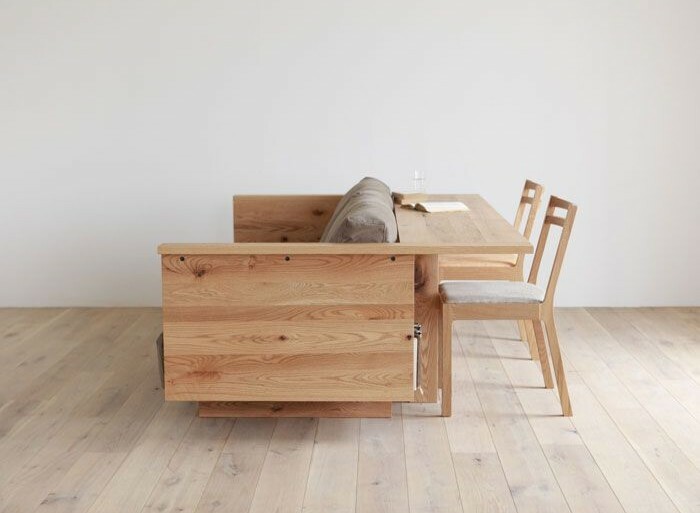 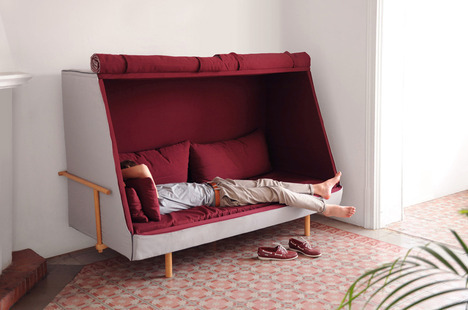 Orwell, a cross between a sofa, bed and cabin. 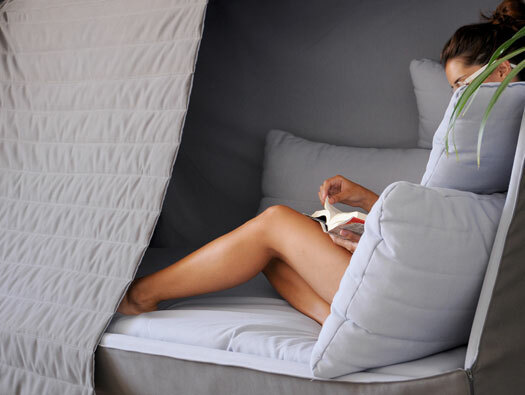 Orwell is sofa-shaped, with a high back, over which heavy quilted curtains can be drawn down to insulate against sound and create a “cabin”-like experience. 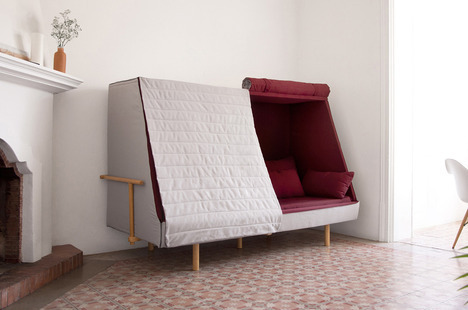 Its size, similar to that of a bed, allows it to be used either sitting or lying down.